Charming but elegant guest house available for short term rentals. Two Bedroom/Two Baths along with office that can be used as bedroom to accommodate more people. Furnishings by The Arrangement in Houston along with select pieces from Santa Fe make this house quite unique. House and property ideal for weddings, parties, and weekend getaways. 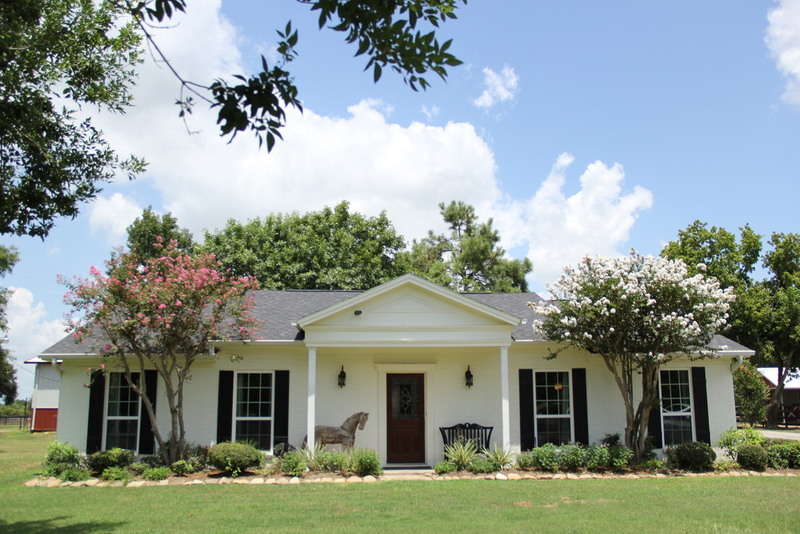 Close proximity to Houston gives the country atmosphere without the need to drive hours to escape the city. Whether it is the covered arena or gazebo near the pond, there are several ideal locations for parties/events. House Rental is available upon request. 2 RV hookups are available at $25/night. Reserved for individuals boarding or taking lessons at the farm. Security Cameras, smoke sensors and security system installed in all buildings on the property to ensure a safe, secure environment. Farm Manager on the property from 7:00 am to 5:00 pm. Lesson Student lives on property in guest house. Owners are at the property daily.